So i woke up with a huge craving for Abacha and i decided to make it.....i really should learn to say no to these cravings sometimes. I've done a post on Abacha in the past with fried fish alone but this time, i decided to make a video instead especially for those who'd love to see first hand how it's done. 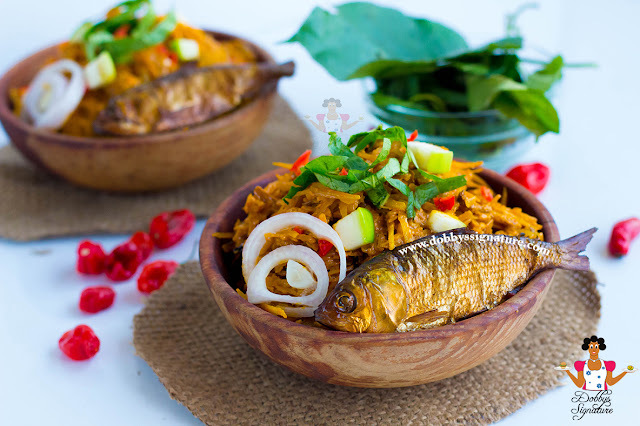 For this recipe, i substituted fried fish for dry fish and pomo. 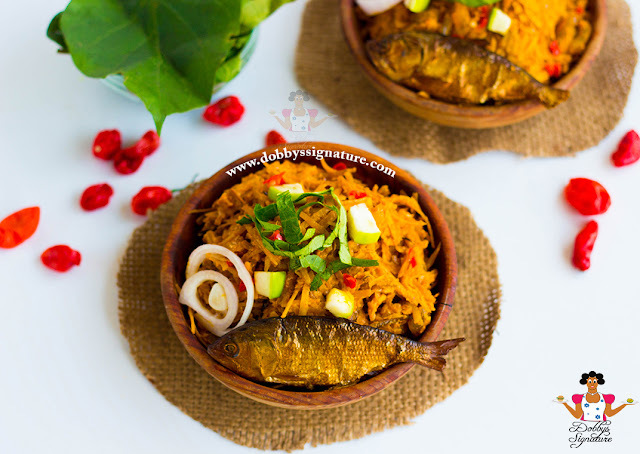 I also used Ugba and garden egg in the preparation. 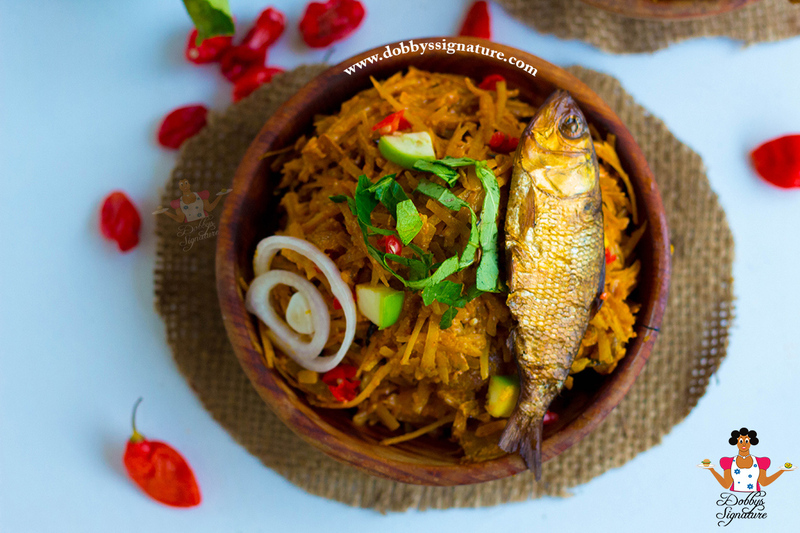 Abacha ncha is a Nigerian delicacy indigenous to the igbo tribe. Just like most salads, It's mostly served as an appetizer to stimulate the appetite as the first course of the meal before the main course. 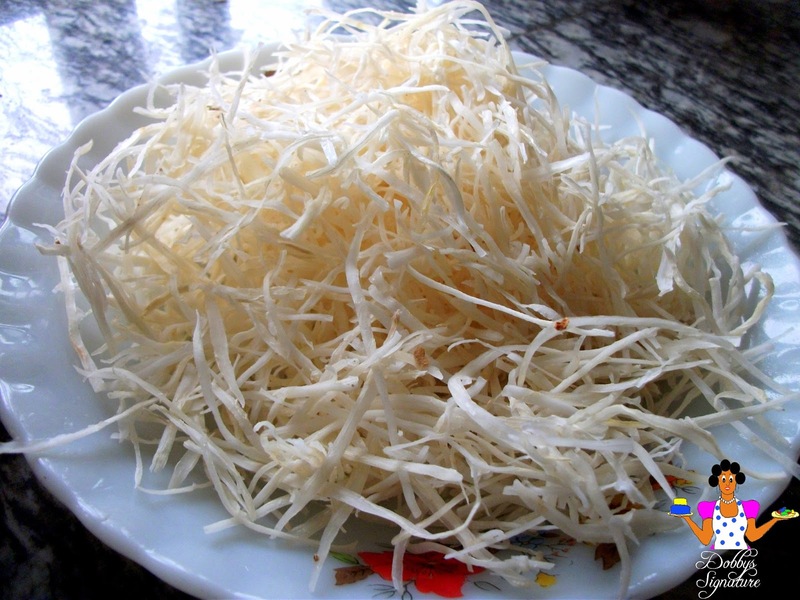 It's usually garnished & served with utazi (a slightly bitter leaf), dry or fried fish, pomo, garden egg and raw onion rings. Step 1: Dissolve the potash in a small bowl of luke warm water. Stir well and set this aside. Step 3: For this, i'd be using kanda also known as pomo. If you buy from the local market, you need to clean it properly. To clean, get an iron sponge and scrub the inner part thoroughly With a sharp knife, scrape the outer part also then rinse. Cut it up into smaller pieces then place in a pot of water. Add salt to taste then leave to boil for about 10 mins. Drain off the water then set aside. 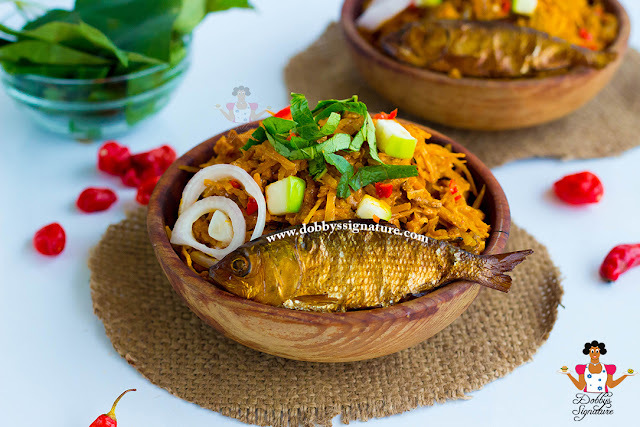 Step 4: Rinse the Ugba, Wash and chop the utazi leaves, Wash the garden eggs and chop if you like, Slice the onion rings. Step 6: Add the salt to taste, crushed seasoning, Ogiri paste, ugba (ukpaka), dry pepper,pomo, Crayfish,ground ehu , then stir very well till the mixture is well incorporated. If you like your abacha warm as some people do, you can heat it up a little on a burner. Dobby kip up the good work. i so lurv ur blog. I waaaaaaannnnt....Dobby please send the abacha to me...pweeease. This looks really appetizing. Well done Dobby!